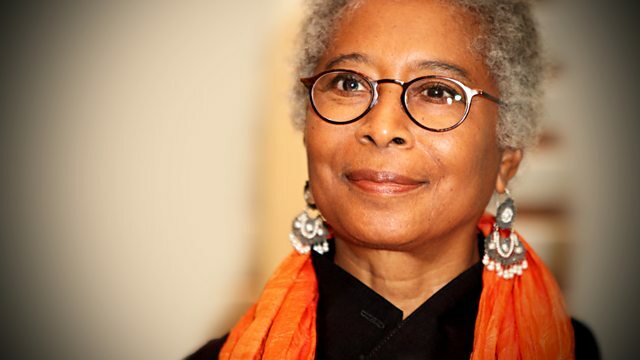 Alice Walker, Pulizter prize-winning author of The Color Purple, is interviewed by Kirsty Young. Kirsty Young's castaway this week is the Pulitzer Prize winning writer Alice Walker. Author, poet, feminist and activist, it was her novel The Color Purple that brought her worldwide attention and acclaim. The story of a poor black girl surviving in the deep American south, between the wars, it is a landmark work, disturbing and exhilarating in equal measure. If one subscribes to the idea that "art is a wound turned to light", then Alice Walker's early life proved crucial to her future creations. Shot and blinded in one eye by her brother's BB gun it was through the isolation of her injury that she began to write. She once described poetry as "medicine". She has also said, "I know the world's a mess, but there's so much that's gorgeous in it. I wish everybody could have what I have." Song Review: A Greatest Hits Collection CD2. Make Desert Island Discs your luxury item this summer.